All-new stories of Amazing Adventures drawing inspiration from the hit Nickelodean cartoon! 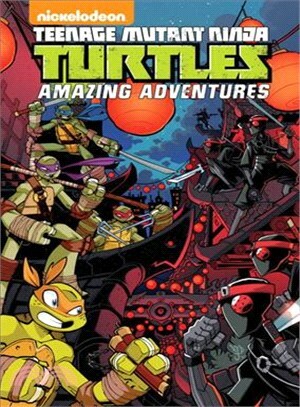 Join the Turtles for the shell-kicking adventures "The Frogs of War" and "Muck Amok" plus back up stories! Collects issues #9–12. Matthew K. Manning?is a comic book writer, historian, and fan. Over the course of his career, he's written for many comic book titles including?Batman,?Teenage Mutant Ninja Turtles: New Animated Adventures, Beware the Batman,?The Batman Strikes!,?Batman: 80-Page Giant 2010,?Legion of Super-Heroes in the 31st Century,?Justice League Adventures,?Looney Tunes,?Spider-Man Unlimited,?Marvel Romance Redux, and?Scooby-Doo, Where Are You? ?Manning currently resides in Asheville, North Carolina with his wife Dorothy and their daughters Lillian and Gwendolyn. Visit him online at www.matthewkmanning.com.